Children Harmed by Poor Nutrition not Vegan Diets says Top Nutritionist from The Food Doctor. Another story attacking vegan diets rather than poor nutrition has proven the need for much more work educating health professionals who have such a limited knowledge of basic nutrition. Lindsay Allen, of the US Agricultural Research Service, attacked vegan parents and falsely suggested that Animal source foods have some essential nutrients not found anywhere else, at a Washington science conference. "There's absolutely no question that it's unethical for parents to bring up their children as strict vegans," she said at the American Association for the Advancement of Science meeting. Years and years of lobbying and propaganda by the meat and dairy industry still fly in the face of evidence that proves a vegan diet can be one of the healthiest around and even add an extra 10 years of healthy living to the life of an average westerner. There are hundreds of studies that prove the average meat eater would benefit greatly from moving towards a vegan diet. "Well-planned vegan and other types of vegetarian diets are appropriate for all stages of the life cycle, including during pregnancy, lactation, infancy, childhood, and adolescence. Vegetarian diets offer a number of nutritional benefits, including lower levels of saturated fat, cholesterol, and animal protein as well as higher levels of carbohydrates, fiber, magnesium, potassium, folate, and antioxidants such as vitamins C and E and phytochemicals." Yahoo! News - British Activists Hail Court Ruling in 'McLibel' Case: "STRASBOURG, France (Reuters) - Two Britons libeled by U.S. fast food chain McDonald's (after the longest court case in English legal history) did not have a fair trial, the European Court of Human Rights ruled Tuesday. " This was a landmark case and it led to the changes going on at McDonalds which has been spurred on by books such as Fast Food Nation and the Award Winning Film "Supersize me"
Artist Geoff Francis is donating the proceeds from all sales of artwork in 2005 to animals and wildlife conservation. More than 500 paintings from his private collection will be made available throughout the year, including his very popular abstracts and many early works celebrating and questioning our relationship with animals and the planet." Detroit —Vegetarian South Asians will be pleased to learn that top luxury automaker Mercedes-Benz informed People for the Ethical Treatment of Animals (PETA) that all future Mercedes-Benz models will be available with a leather-free option either at the dealership or via special order in all markets. It takes four cows to make the leather interior for one Mercedes, and the company’s announcement follows PETA’s consumer-driven campaign to pressure Mercedes to offer alternatives to a leather interior. It has emerged that scientists at the University of Newcastle upon Tyne and the Danish Institute of Agricultural Sciences believe from studies that a chemical found in carrots, falcarinol, may reduce the risk of cancer. Scientists tested food supplements containing the chemical on rats with pre-cancerous tumours, discovering that it reduced the development of tumours by a third. The chemical is also present in other carrot-related vegetables, as well as ginseng. Mercedes Benz have announced (UK Daily Mail 8/2/05) that they can provide vegan versions of their top of the range cars. They follow Ford and Toyota who first marketed their new more environmentally friendly cars to vegans in 2004. Car PR guy said that " Vegans represented the epicentre, the bulls eye of their target audience"
Is veganism the optimum nutrition of the future? Healthy veganism has never been so comparatively good for you, so easily available, so delicious and so popular. The Vegan Society have seen a massive rise in popularity during their Diamond Jubilee as they celebrate 60 years since Donald Watson first created the word vegan (from the beginning and end of vegetarian) and founded the educational charity. Books such as The Animal Free Shopper and Plant Based Nutrition and Health have been published, new studies commissioned, new initiatives for chefs started, new products such as vegan fishless smoked salmon created and there’s been celebrations at events all over the world. The national newspapers, particularly the UK Guardian have featured stories warning about the unsustainability of the present system of things. Not only are modern meat and dairy production methods threatening human health they are threatening the planet with devastating consequences. If the emerging cultures follow in our footsteps the results will be catastrophic. The American Dietetic Association and Dietitians of Canada agree that well planned vegan diets are a great idea. 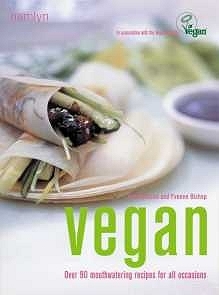 They issued a report to clarify their position on Vegetarian and Vegan diets in June 2003. * J Am Diet Assoc. 2003;103:748-765. So what attracts people to veganism? The Vegetarian Society experience is that the biggest percentage (over 40%) say they were vegetarian for health reasons. With the rest divided between animal welfare and the environment – a minority cited not liking the taste of meat as a reason. This is somewhat ironic considering many vegetarians merely substitute meat with other saturated fat rich animal products such as cheese. Many meals are based around starchy simple carbohydrates rather than complex carbs and are often protein poor. Despite these often less than optimum diets, in dietary analysis studies vegans are always at least comparable to healthy eaters and vegetarians and many studies suggest they are healthier. The Vegan Society maintains that providing Vegans ensure adequate sources of complete protein, green leafy vegetables, vitamin B12 and maintain a balance of EFA’s there is no reason why they can’t avoid many of the major killers of the 21st century identified by The World Health Organisation. In her new cookbook Vegan by Hamlyn (ISBN 0600609154) city-based nutrition therapist Yvonne Bishop-Weston BSc Dip ION MBANT says ‘Far from being difficult or extreme, veganism is easy, straightforward and delicious – a great way to achieve optimum health and a clearer conscience.’ She clarifies all the important vegan sources of all the nutrients that you need to earn you above average health. Extra ten years of healthy living? In Plant Based Nutrition and Health (ISBN 0907337279) by Stephen Walsh PhD he gets far deeper into veganism with recommendations backed up with over 50 pages of references based on human studies. “No use has been made of any information obtained by harming animals and I regard such procedures as both unethical and irrelevant to recommendations for humans.” He claims that the full potential of plant foods is largely untapped and the right choices can add ten years of healthy living to your life. Books such as these and better choice in the shops and in restaurants have attracted new people to veganism who are attracted by the health benefits rather than just the ethics. These new vegans refuse to settle for second best – they want flavour, value for money and they are not prepared to compromise their family’s health for their beliefs. They have looked at the facts and won’t be brushed off with a dismissive misinformed health professional telling them that they need to have cow’s milk to get calcium or meat to get iron and protein. Even the growing number of ‘Flexitarians’ who have mainly vegan diets but occasionally eat a little organic meat or fish mean that GP’s and dieticians will need to keep abreast of all the latest facts rather than just settling comfortably for what they read in advertorials and food industry sponsored literature. To help Doctors keep fully informed there is a health section on www.world veganday.com with all the latest health news. The Vegan Society think the Government is spot on to encourage the eating of more fruit and vegetables in their “Just Eat More (fruit and veg) “ Campaign that kicked off Autumn 2004. “We’ve been encouraging people to eat more fruit and vegetables for 60 years” says one spokesman. Almost every day now there is another report that verifies the route to optimum health may be not in expensive designer drugs but in better, more nutritious diets. With headlines like these it’s no wonder more and more people are being drawn to veganism and clear that health professionals need to be very sure of their facts before just repeating what they hear from the British Nutrition Foundation and using the BNF’s “balanced plate” as a gospel guide to optimum health.